Mixing fun and inspiration was never easy without these custom building block banks! Order these customized building block banks in bulk and make huge savings. Imprinted with your company slogan or colorful logo, these building block banks are sure to become a great hit during tradeshows, seminars, conventions and other outdoor events. 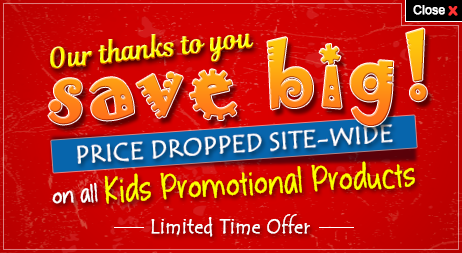 At Promo4kids.com, you can save on artwork assistance and online design proof because their prices are included. Fast shipping and fast production times keep us ahead in the competition. What are building blocks for savings in the future? The answer is customized piggy banks or saving banks. What are the building blocks for your campaign? The answer is custom building block banks. Have you heard "the journey of a successful business starts with a single building block" before? That's the famous quote but if you want to be successful in the business, you have to let people know that you exist. 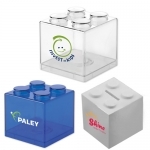 So help customers to know about your existence with these custom printed building block banks. These inspirational savings banks are perfect to remind kids about the value of savings and they will make their parents take note of your brand information. Custom building block banks easily become your building blocks for success and they will bring easy attention too. Personalized building block banks work great for educational institutions such as schools, private tutor groups as well as for construction companies, interior decorators or other independent professionals, financial institutions, business consultants and anyone who want to teach kids value of savings. Usually the design of this type of block bank reveals a money slot on the top and a twist plug in the bottom to remove the accumulated money. Hand out these customized building block banks to kids during the next available opportunity and encourage their parents to think of you whenever they lay a foundation for the next project. You can print your slogans and logo over these building blocks prior to distribution. Customized shape and selection banks are ideal for individuals and businesses trying to express kids and build a strong foundation for their financial literacy. Be assured that these custom printed building blocks will grab attention as a table topper and decorative item. You can offer them as individual gift or combo with other promotional giveaways for kids. 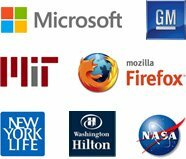 Are you still skeptical about the impact of these custom building blocks? Feel free to reach out to our product experts at 855-454-3786 or email us at info@promo4kids.com. We will help you to understand how these building blocks banks can make an impact to your brand. Additionally, we can help you to finish the logo perfectly over these coin banks. This help is available for all promotional giveaways for kids sold at Promo4kids.com.